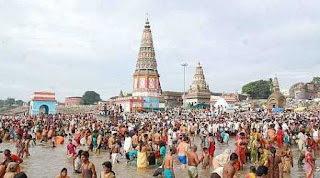 Pandharpur is considered to be the spriritual capital of Maharashtra due to its atmosphere of reverence created by the presence of the Vithoba Temple. 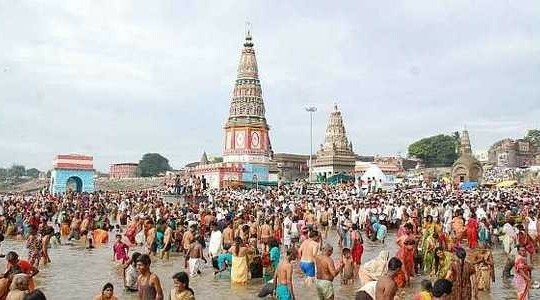 The holy town of Pandharpur is located along the Chandrabhaga river in Solapur District. 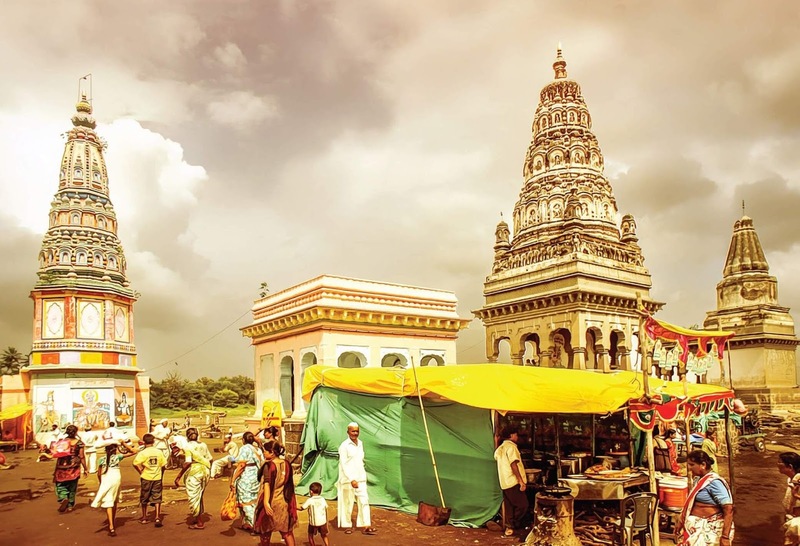 It is also known as the Kuldaivat of Maharashtra and as the Southern Kashi of India.Here is some Fact about Vithoba Temple In Pandharpur Maharashtra India. Temple Timing: 4.00 AM to 7.00 PM. How to reach By Rail: The nearest railway station is Pandharpur .and second big railway station is Solapur, 74 kms. How to reach By Bus or Road: The distance by bus from Pune to Pandharpur is 207 km and Mumbai to Pandharpur is 359 km. Solapur is the closest at 73 km. State transport bus services are available from Pune and Solapur. Taxis are also available from Solapur. Vithoba temple, Pandharpur is the main centre of worship for the Hindu deity Vithoba, believed to be a local form of god Krishna or Vishnu and his consort Rakhumai.The temple is built around 8th century. and renovated by one of the royal rulers of the Shaliwahana Dynastry.The temple is dedicated to Lord Vithobha and Rukamani.The idol of the deity Vitthala or Vithoba is made of black stone three and a half feet tall.The idol of the deity Vitthala or Vithoba is made of black stone three and a half feet tall. The idol has a Shivalinga on his head and the Kaustubha Mani around the neck. The idol is placed in front of a Prabhaval, a silver plate in the sanctum.Several smaller shrines dedicated to Lord Ganapathi, Garuda, Lord Krishna’s consorts Rukmini, Sathyabama and Radha, Kashi Vishwanath, Lord Rama and Lakshman, Kalabhairav, Dattatreya, and Narsoba are present inside the Temple Complex. 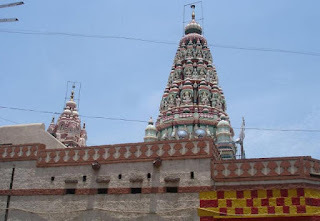 The Temple Archicture of the temple is the Hemadpanthi style of architecture.There are Different Parts of the temple.Different parts of the temple like ‘Ganesh Mandap’. Subharna – mandap’ and Garbhagar were built by different person. If we see the construction of the temple, we will see the part is different from another. The face of the temple is on Eastern direction. The east-west lengh of the temple is 350 feet and North-south length is 170 feet. The hight is 25 to 32 feet. The peaks of the temple are high. The temple has four doors for the entrance. The doors are used by different reason. On the east side, there are three doors. 1) The main gate or first door is called ‘Namdev darwaja’. It is called ‘Mahaddvar’ (a big door). Here ‘Namdev’ who was beloved of Lord Shri Vittal took self immolation in 1350 A.D. with his 14 family members. The step is called ‘Namdev Payari’. Every year anniversary day of Namdev is celebrated. The step is ornamented by brass metal. The right side of step there is the idol of Namdev. The pious people first take Darshan of this Namdev step without touching. There is a stand of water on the right side of the steps called ‘Vrundavan dam’. Next of Namdev step there is the self immolation of Saint Chokhamela. The urns of Saint Chokhamela’s were brought by Namdev built Chokhamela’s immolation. The restoration of chokhoba’s immolation made by the king of phaltan. He built a big umbrella. This reference is given on the immolation. 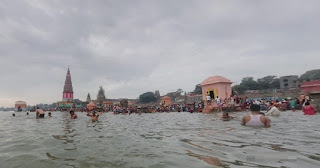 In this area there are two idols of Ganesh, Saraswati and two veergal besides of the chokhamela immolation. But now they have been replaced. 2) On the right hand of the Namdev step there is a big Indian fig tree. There is eastern face door adjacent of the temple which we can go into the temple. New Darshan mantap. A bridge has been built between Darshan Mantap and the temple. 3) The third eastern face door which we call ‘Tati Door’. If you enter through this door, you will see ‘Kanhopatra temple’, ‘Laxmi Mandir’ and ‘Venkoba Temple.’ The temple has two doors on southern side. 1) First door for the ladies. 2) Second joined to Bajirao Padsali. There is big and only one main door at the western side. It is called ‘Paschim dvar’. The vehicles stop here coming from S.T. stand and ‘Choufula’. You can park you vehicles there. This door is used for exit during celebrations. On the Northern side there are three main doors. Rukmini – Gopur door. If you can enter through this door, you will see the red stone Rukmini Sabha Mandap. Here religious rities like. ‘A narration punctuated by music (Kirtan), pearching of the devotion etc. is carried out. The entrance door of Bodhlebuva’s verandha. Temple Door Opening : 4.00 a.
Kakada Aarti : 04.30 to 05.00 a.m.
Mahapuja by devotees : 07.00 a.m. to 08.00.a.m. Maha Naivedya :11.00 a.m. to 11.15 a.m.
Dhoop Aarati :07.00 to 07.30 p.m.
Padya pooja : 10.00 to 10.30 p.m.
Ashadi Ekadasi or the Shayani Ekadasi – The grand religious procession is celebrated in the month of Ashadha (June – July). The festivities begin on the eleventh day of the month. It is believed that Lord Vishnu falls asleep on the day in the Ksheersagar while lying on the back of the Shesha Naga on this day. The Ksheersagar is the Ocean of Milk that denotes the Milky way that surrounds the directional space. 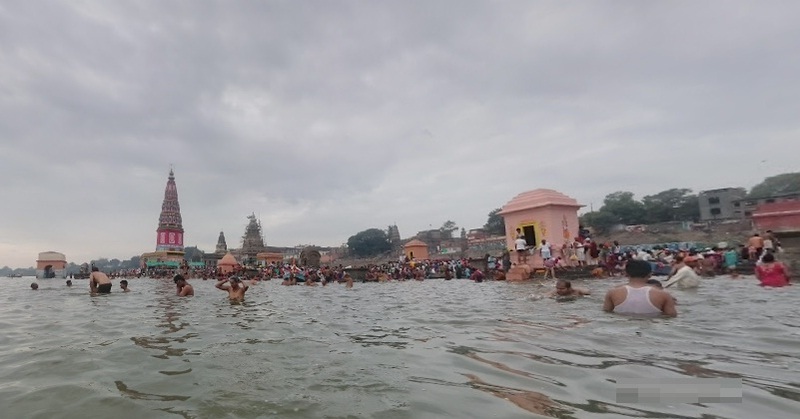 It is also the place where Lord Vishnu reclines over the Shesha Naga and plans to churn the ocean to reveal its Amrit and other miracles. Hundreds of devotees from Maharashtra, Karnataka, and Andhra Pradesh walk from their homes to the Temple carrying a Palkhi with the “Padukas” or the “Feet” of the Lord. They do so amidst singing bhajans and songs in the praise of Lord. This journey is called the Dindi Yatra. During the Yatra, the devotees perform charity work for the poor and the needy like Annadanam, repair work, medical help, and building work. Prabodhini Ekadasi – The Varkaris offer Poojas at the Pandharpur Vitthal Temple on the 11th day of the Kartik month (November – December), exactly four months after the Shayani Ekadasi. It is believed that Lord Vishnu wakes up from his slumber on this day in the Ksheersagar during the Samudra Manthan episode in mythology. The Magha Ekadasi and the Chaithra Ekadasi are also celebrated by the Varkaris especially. They arrive at the Temple in large numbers during these days and receive the blessings of their beloved Lord. Besides the Ekadasis, Holi, Deepavali, and Dussehra are also celebrated with great pomp and fare. 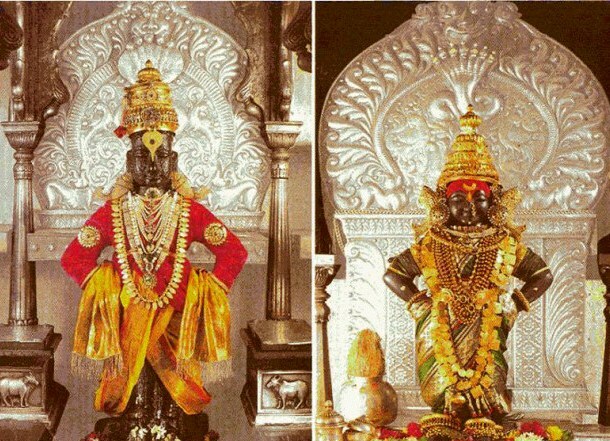 The Pandharpur Vitthal Temple is decorated and special Poojas are performed for the Lord on these days.